“I was inclined towards physical activities since school, with a long-time association with hip-hop dance. However, by the end of graduation, I had bulked up considerably with a waist size of 36” and being a hip-hop dancer was no longer easy. The day my mother could not recognise me from behind on the road was when I decided to take the leap for a self-induced transformation. For the next 5-6 years, looking good and feeling fit were my goals but it has been since the last 2 years and 8 months that the training has been more progressive and intense as never before. It feels good to be bettering with every session though I choose not to indulge in self-satisfaction. Working full-time in a bank and then training for 2 hours after a hectic day is quite a challenge, especially maintaining a strict diet which would not be possible without the constant assistance of my mother, who cooks my food completely separate from those for the rest of the household members. My father is very supportive; providing all the supplies I need. The encouragement I receive from the rest of my family and friends keeps me in the game while I concentrate on severe sessions of bodybuilding with 7 meals a day. This extremity of passion would not have been initiated had I not lived with Joshua Esin while working in a bank in Scotland, after having pursued post-graduation there. Our fitness goals matched and Josh, a pal and family away from home, guided me in the path. Each of us pushed the other through the ordeals and these trying times got me addicted; and now I am a proud fitness addict. Even during the festive season of the last month as my friends indulged in delicious dishes with high carb content, I was satiating my taste buds with chicken soup… that sacrifice, that commitment made me the man I am and I intend to be a lifetime natural bodybuilder. My rigorous regime has taught me that with Consistency, Dedication, Determination and Discipline, you can achieve anything; that’s my #C3D formula for life and I am leaving no stone un-turned to attain my ambition. Though this will be my first fitness show, I am brimming with confidence and exerting all my energy to be in my best shape and I leave the rest to the judges and God to decide. 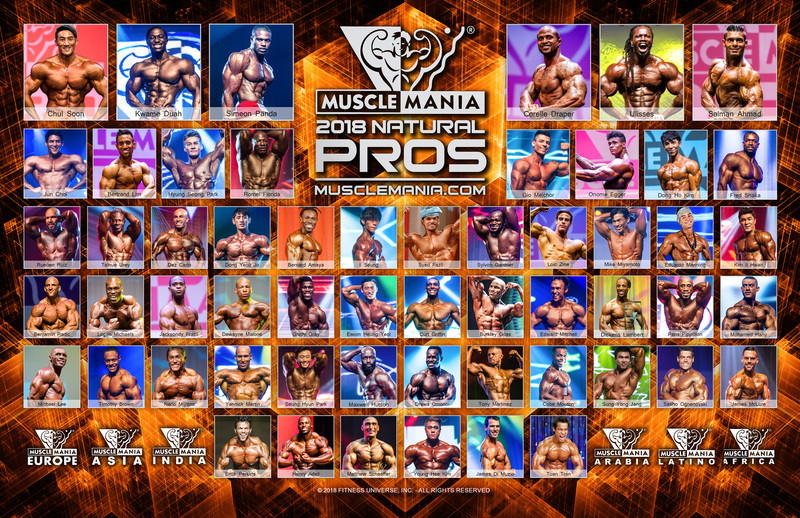 I have been following Musclemania Universe ever since I got engrossed in fitness. It’s not just one fitness guru whom I follow. I look up to Ulisses Jr. for his impeccable method of presentation in terms of physicality. I feel honored to be able to prepare myself for participating in Musclemania India."